Jeremy Corbyn has been elected Labour leader for the second time in just twelve months, beating Owen Smith by 313,209 votes to 193,229. By securing 61.8% of all votes cast, Corbyn has increased his mandate from last year’s election, where he won by 59.5%. Corbyn’s victory, which means he has now won more Labour leadership elections than Tony Blair, and two more than Gordon Brown, was widely expected from the beginning of the contest, with Labour’s self-styled ‘moderates’ seemingly reliant on keeping Corbyn off the ballot paper, something they failed to do in July’s NEC meeting. Since Owen Smith and Angela Eagle were nominated as candidates, Corbyn has flown ahead in every single poll. I am honoured to have won the votes of thousands of members and supporters who have given me the second mandate in a year to lead our party. I will do everything I can to repay that trust and support to bring our party together — to make it an engine of progress for our country and the people who depend on Labour. It also makes it highly likely he could be leader until the next General Election, given that he cannot be removed by ‘moderates’ in the PLP due to his popularity with a selectorate which simply swells every time he is challenged. According to YouGov, over 74% of post-May 2015 members voted Corbyn, compared to 37% of pre-May 2015 members, a fact which demonstrates how Corbyn is not only leading Labour, but reshaping its membership. 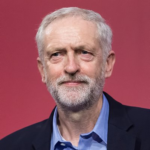 The other factor which may pin Corbyn in the driving seat is that if he were to stand down, the left would struggle to secure the 50 nominations required to put another candidate on the ballot, whereas the courts have now confirmed, with the defeat of Michael Foster’s legal challenge to the NEC, that the incumbent does indeed have the right to remain on the ballot. That rule is likely to be further confirmed in a motion at this conference. One major surprise from the YouGov exit poll data is that Corbyn only managed to secure 45% of under-24s, a shock given the widespread assumptions of his greater popularity with younger Labour members. Attention now turns to Labour’s annual conference, where the party’s National Executive Committee will meet this evening to finalise which rule changes they will be putting forward to the conference, and tomorrow’s Conference Arrangements Committee (CAC) report, where it is expected that delegates will move ‘reference back’ on a number of rule changes submitted by the left but blocked by the CAC. The major point of contention between left and right at present is the issue of Shadow Cabinet elections. While Jeremy Corbyn has stated his preference for a third of the Shadow Cabinet to be elected by members, a third by the PLP, and a third appointed by the leader, the right on the NEC have demanded all Shadow Cabinet posts are elected by the PLP. The move is being presented as an attempt to ‘unify’ the party, yet it would doubtless boost the right’s capacity to undermine and damage the leadership. They would be elected into post, so Corbyn could not remove them, and could effectively act freely in undermining him, destroying any sense of Shadow Cabinet collective responsibility. Corbyn supporters might find themselves wondering, having secured a historic second leadership election in just over a year, why it is they who are being asked to ‘concede’ and ‘compromise’ with their defeated opponents? Many good points, James. One thing is abundantly clear. A large number of Labour MPs, perhaps a majority, have no intention whatsoever of respecting the renewed, increased , mandate(and actually a massively under-represented new mandate , given that up to 200,000 or so potential voters were excluded by the Right’s cynical wheezes) . All that has happened is that the hapless Owen Smith’s pathetic “I’m a Bevanite” Summer long Leadership challenge will now be simply dismissed by the Right as “just part of an endless process of sabotage and disruption, to make a Left oriented Labour Party unelectable”. We’ve already seamlessly shifted to the arena of more bureaucratic manoeuver, eg, padding out the NEC with unelected Right Wing leadership figures from Scotland and Wales, fighting to get a PLP elected Shadow Cabinet – to trap Jeremy and isolate him. This conflict will never end in any “compromise” which retains the “Corbynite” Left Agenda. This simply cannot be acceptable to the Billionaire funders of Progress and Labour First, or the personal future sinecure post politics career aspirations of the now majority careerist politicians in the PLP. The huge danger now, amidst this superb Leadership victory, is that Jeremy and his team listen to the siren voice compromisers of the likes of the Guardians’s former “voice of radical yoof” Owen Jones, and various trades union leaders, and make fundamental concessions in policy and shadow cabinet positions to the Right. Only disaster, and a remarkably fast exit of the radicalised hundreds of thousands who have joined Labour over the last year, will follow any significant compromise with the majority of the PLP, in their desire to return to the barren , cronyist, corrupt, Tory-Lite politics and policies which have already destroyed Labour in Scotland, and could easily do so in Wales before long too. Labour today faces a simple choice – either a direct, and admittedly initially electorally damaging, battle with the Right, AND their supposed “Soft Left” fellow travellers, to transform the Party into a thoroughgoing Left Party for radical change, Or the “Pasok experience” of catastrophic relegation to political irrelevance still looms. I agree: regardless of the chorus of “unity”, the Right wing shows no sign of wanting it. The attempt to pack the NEC with the Scottish and Welsh leaders proves this definitively. Heaven forbid that Jeremy should actually have an NEC which is in favour of him! That privilege is only accorded to … every other leader in Labour’s history! Against this backdrop, unilateral compromise and concessions on the part of the Left would be a terrible mistake. Let us never forget that if the coup had succeeded Owen Smith (or worse) would now be our party leader, appointed on a shortlist of one since Jeremy would not have got the MP nominations. We would have had no democratic choice between people on different wings of the Party. Choosing the leader would have been the exclusive prerogative of Labour’s parliamentary elite. Any concessions from the Left will merely be gratefully received while the Right wing trundles on unabashed with “The Project” of discarding Jeremy. Instead, therefore, of making unilateral concessions to the Party’s neoliberals, the Left would be better off mobilising to bring the PLP’s membership into line with the membership in the country. The only effective way to do so is by the wholesale discarding the PLP coup supporters, either through deselection or, if the boundary changes come about, by rejecting them for the new constituencies. Now we need to consolidate this victory by delivering on the promise of increased party democracy and involving the members in policy making on the basis of high quality (i.e. not one-sided) information. We must convert tge NPF from an abstract promise of democracy into an engine of debate and engagement. Agreed. While I don’t know how we are going to be able to pull off the difficult institutional balancing act between keeping Labour united and actually moving it to the left, policy development is something for which the way ahead should be clear. Unfortunately, it does seem that it is a small minority of Corbyn supporters who are actually interested in this. It would be nice if someone who has contact with Jeremy (e.g. Jon Lansman or Peter Willsman) could ask him to issue some calls for members to get involved with this as well as some policy documents to discuss. Barring something like this, it will have to be up to us, the minority of the membership interested in this, to make the push. I’m at a loss for how to do that, however. I’m a little confused. You clearly understand what electoral oblivion means (your reference to Pasok) but everything about your agenda screams out a well-organised ‘seriously’ left party and manifesto, but lacks any touchpoint with the electorate and surely that will lead to similar electoral oblivion. The current polls clearly indicate that a Labour election victory led by JC is about an likely as snow in August. Expecting middle England to vote Labour with a manifesto like this is like asking turkeys to vote for Christmas. So how exactly are we supposed to get enthused about something that will never, ever happen? If the Right had won there would be a purge of the Left from prominent positions and the party itself. These poor excuses for MP’s will try again and again to get rid of Corbyn – as they’ve said so – so there’s little point in trying to win them over. They represent very few people, and live in a bubble. Some Blairites would rather the party sink than have Corbyn in power so what does that say for ‘unity’ The Witney by-election is coming up. While Labour has little chance against a donkey with a blue rosette, it will give the anti-Corbyn candidate Duncan Enright ample opportunity to claim the party’s likely poor result is because of Corbyn’s leadership. Corbyn would do well to steer clear of unrealistic and utopian defence policy. As well as giving those on the right a legitimate stick with which to beat him with it is totally unacceptable to the wider electorate and would ensure we never gain real power. I speak as somebody who has just voted for him for the second time. He also has to understand that there is a “left case ” and legitimate arguments against the free movement of people. If I’m honest with myself I think Jeremy is probably incapable of doing what is required but have voted for him anyway, in the hope he will democratize our party and take it away from the Westminster elite and their corporate lobbyists. We need a pragmatist from the left at the helm. Labour can either follow the path suggested by Corbyn yesterday, based on unity against the Tories, or it can take the path advocated above by Messrs Penney and Nichol. The first could succeed, as all sorts of lessons have been learnt, and a confident and united Labour is in a position to score heavily against this shambles of a government, and steadily build support. Or we can commit ourselves to a renewed and even more savage conflict within the party than we have so far seen, and which the left would not necessarily win. It probably would, but it would be a Phyrrhic victory indeed, as it would probably destroy Labour, at least for a generation, as a credible electoral force. It would not be ‘initially damaging’, John, it would be for a long time. Assuming a boundary redistribution, Labour Party members will be invited to decide who they want as parliamentary candidates for the next general election. It is hardly “savage conflict” for the pro-Corbyn majority of members to vote for candidates they agree with. To urge them to vote for candidates they disagree with, merely because those people happen to be sitting MPs, is absurd. The right wing of the Party are not egalitarians like us who merely differ on the potential of a privatised economy to secure social justice. The centrality of the private company is the fundamental reality of British politics, all the more so since the acceleration of neoliberal globalisation since the 1960s-70s. Against this backdrop the Labour right wing’s raison d’etre is to protect, defend and maintain the capitalist system and the wealth and power of the super-rich, and to pursue the private sector’s fight against egalitarianism. This is why they supported the coup and the challenge, regardless how devastating the consequences for Labour’s electoral prospects. They would far rather have a continuation of Tory rule than a Corbyn government. It is for this reason that the “confident and united Labour” uniting Left and Right won’t materialise, no matter how desirable it may be. Frankly, I think neither of the paths you discuss here are likely to succeed. There will always be at least 30 irreconcilable MPs who will make life difficult, plus however many can be convinced to go along with them in a bout of mass hysteria like during the coup. The best we can hope for is to win over some of the centrist MPs (and even this might not be possible). However, if this turns out to require any major concession on what is already very moderate policy, then what was the point of getting Jeremy elected in the first place? The other problem is that even many soft-left MPs are opposed to basic proposals which would make the party more internally democratic and which would make a left-wing leadership viable in the long run (i.e. mandatory reselection). From a pragmatic perspective, we are not in a position to push these forward some of these at the moment, but we must think about what would be required to be able to do so in the longer-term. I hope that CMac is wrong. If neither of my alternative paths arevlikely to succeed, then what is? On the path advocated by John and Danny, while we have been here a few times it is worth repeating that a civil war would be destructive, it would rule out winning in 2020 and might destroy the party,that there are plenty of soft left and centre MPs who can and must be won over if the right is to be isolated, and that at local level most councillors and CLP or branch officers are from the pre May 2015 membership where Smith gained 63% of the vote, and in any civil war they will have much more clout than newer members..
Well, I am naturally a pessimist and tend to see the worst in things. What I hope is that we’ll be able to hold together the majority of the Labour Party running on progressive policies until the UK gets proportional representation. At that point a split would be much less damaging and probably the more democratic option. I agree, PR is important. However, getting there looks difficult. There isn’t majority support for it in the party (although it is growing) , let alone the country, and the Lib-Dems made it more difficult because of their ill judged referendum in 2011. The Labour Party in which you , and David, spent so much time, minutely manoeuvring , to achieve tiny, in fact non-existent, “Left gains”, largely via imagining that a kind word here and there from completely non-socialist, Labour MPs, meant anything, no longer exists. The huge social and economic aftermath of the 2008 global Crash, which has produced a Left Surge (and a matching Far Right one) across Europe , also produced the “Corbynist Insurgency” within the ,by 2008, utterly neoliberal, career politician dominated, Labour Party. The vastly enlarged Labour Party of today is simply not the same organisation as it was before Jeremy’s victory. Instead of the largely moribund, fast membership declining, deeply corrupted by ideology and billionaire sponsorship, Party it had become , Labour is now the arena for a vicious political and class struggle, of a scale not seen since the 1930’s. What the old Left Labour stalwarts just can’t get their heads around is that the Party’s Right/Left factions cannot now reach some sort of “compromise” which would meet the needs of the career PLP majority and their billionaire sponsors for a continuing “reserve pro capitalist” mainstream party to front up an increasingly façade democracy run entirely for Big Business – and preserve ANY of the key anti austerity, radical Left reformist demands of the new mass Labour membership. Neither Peter, not David, can apparently grasp the sheer depth and scale of the existential crisis now being fought out within Labour. And of course too many of the inner core team around Jeremy also seem incapable , yet, in transcending the small sect political outlook and practices which dominated the labour Left during the 30 year long night of Kinnock/Blair/Brown neoliberal hegemony. Hence the utter unwillingness as yet of Jon Lansman and his inner circle to allow Momentum to grow beyond being a undemocratic, policy vague, top-down, stage army for the leadership group. There is no going back to the old comfort zone of traditional , irrelevant, Labour Left politics and practices, comrades, The existential crisis of Labour is upon us. We just need to fight the unwavering current and future sabotage and manoeuvring of the labour Right and their (probably majority) of the rest of the PLP, with a resolve that matches their self-serving determination . The “Left Appeasers” to the Rights unwavering determination to regain control of the Party – or destroy it, are simply serving to distract and weaken the resolve of the Left to see this battle through to a successful resolution , ie, the outcome of a radical Left reformist Party with a cohesive membership and PLP – still quite a “Broad Church” , but not nearly as broad as it became over the 30 years since so many neoliberal careerists were systematically parachuted in by Progress. The capitalist crisis globally is only going to get worse, and only a radical mass Left Party has any chance of providing a political vehicle to tackle this crisis in the interests of the working class. John, you really need a new hymn sheet. This sort of comment bears no relationship to reality. Example. While you are busy condemning the majority of MPs and councillors and demanding their replacement we are working to change Labour’s policies as the only sure basis for a changed Labour Party. It is not at all a matter of minute manoeuvres and “a kind word here and there”. Thus there is a motion before Conference from the Socialist Educational Association (Peter and I are both members) to end selection in all state-funded schools. This has always been opposed by the right. I don’t know if it will pass but if it does it would be a very significant change of direction for Labour. So while railing against the majority of Labour politicuans might give an impression of militancy it generates a lot of heat and not much light. That light needs to be provided by new policies. I suggest that you should turn some of you evident ability to that more constructive task. Some MPs and councillors need to be replaced but it will be much easier to do that when they show themselves unable to work for agreed policies. In “more normal times” , eg, the, for the Let, turbid political wasteland of the neoliberal consensus , and the carefully structured exclusion of the mass membership from any meaningful policy decision-making , which hegemonised Labour as a Party for at least 25 years, I’m sure you and I, and Peter would be as one on pretty much every aspect of the “Left Policy Bundle” Labour desperately needs to adopt. In fact we are even today probably as one on that “policy bundle”. The big divide is that these are as far from “normal times” as could possibly be . and that isn’t simply because Labour has a vast new Left oriented membership and a (reformist) socialist Leader. The big issue is that , as the current , quite open, continued mobilisation , at Conference and beyond, of the Labour Right to thwart our Left agenda in general , and Jeremy’s ability to Lead in particular, shows – Labour is in the throws on an internal civil war. An internal struggle of a different order to anything that has wracked Labour since the 1930’s. It of course would be much preferable if the entire PLP, and sundry Right wing Labour Councillors, would now recognise and respect the new, increased mandate for Jeremy and his Left direction for the Party. Then we could indeed, with a much worked up Left Policy package, have a real chance of an electoral win in 2020. But it simply isn’t going to happen, comrades. The Labour Right , and a large cohort of the supposed “Soft Left” are simply too personally and politically corrupted by the neoliberal politics of the past, and the string-pulling by the Labour billionaires, and the prospect of sinecure jobs after political careers are over, to go along with this Left agenda. It simply aint going to happen . You can hope for compromise and reconciliation as much as you want – but Labour as currently constituted is now a dysfunctional , impossible, construct. Either the Left wins out , with quite a cohort of the PLP and Labour Councillors buggering off to pastures new, or we on the Left will be out-manoeuvred, purged, demoralised , and ultimately defeated. And the irony is that a victorious Labour Right would then still lead Labour to yet another disastrous General election defeat. Because a Tory-mimicking Labour Party in todays domestic and global capitalist crisis conditions has no election-winning alternative policy offer . But the Right sure as hell are not going to go along with a Labour Party proposing a radical, anti-austerity, tax evasion defeating, anti privatisation, Left Keynsian, Manifesto – no matter how “well worked out” it is. So I say back to you, “change the record” on pious hopes for compromise and conciliation with a sizeable chunk of the PLP. It just gets in the way of the Left organising to WIN the already underway, unavoidable civil war. We didn’t start it – but we have to win it. John, perhaps it would help if you spell out exactly what should be done from your prespective. I sat this because, for all of your rhetorical differences, the first steps needed for your approach to work (democratising the party, getting leftists elected to internal positions, developing members’ organisational capacities, convincing as many waivering MPs as possible–however many or few it may turn out to be–to stay onboard, fighting for the rights of members, etc.) do not seem that different from anything which David Pavett has suggested. You have even indicated that you think a few on the soft left might be persuaded to stay, so as far as I can tell your main disagreement with David is in terms of how many you think that will be and your rhetorical styles. John, trying fight a war with no sense of strategy and tactics and without any clear objectives makes no sense. Hiding that lack of clarity with declarations of the need for all out war and the need to vanquish an ill-defined enemy doesn’t make up for the lack of sense. The lack of attention to policy aims and immediate task is the biggest threat to the position of the left which needs too devote more time to that rather railing against some generalised class of traitors who live in a land where there are no shades of grey. I have just heard that the SEA motion on education has been emasculated in the compositing process. This was done, I gather, with the very best of intensions by Angela Rayner, who appears not to understand the difference between a clear statement of aims (“Labour will end selection at 11”) and what must go into a House of Commons motion opposing more grammat schools so as to get Tory support. This confusion about aims and immediate policies bedevils the left as much as it does the right. This educational composite motion is a geat opportunity missed and for spurious reasons. How utterly wrong you are, David. Unlike you I have a very clear perspective strategically AND tactically as to where the Left needs to be . You think you have a strategy and tactics – but actually it is just the same old, same old, recipe of endless compromise and retreat in the face of the utterly resolute determination of the Right , and most of their less ideologically tough PLP fellows, to utterly smash this “Corbynite ” Left Lurch of a now , for them and their Big Business puppet-masters, terrifyingly mass membership Party. I am as keen as you on urgently developing a detail Left “policy bundle”, and democratising Momentum. But you, and your co-thinkers actually appear to view this as a traditional “comfort blanket” distraction from the civil war raging in our Party. A civil war which the Left are winning in areas where mass democracy can be applied – but is losing day by day in the area of bureaucratic manoeuver (as the ruse today to add two anti-Corbynites from Scottish and Welsh Labour to the NEC amply demonstrates. It is now time for the left to seriously get stuck in to targeted, selective, trigger ballots, to get rid of the worst organisers on the Hard Right – and to intimidate the others. A majority of the PLP will probably de facto operate as a separate , non Corbyn led , Party in Parliament from now on – and in the House Of Lords Jeremy will have no influence at all. The idea of any “compromise” which would assuage the Right , or a sizeable remainder of the PLP, other than for Jeremy to become an isolated prisoner in a reconstituted fully neoliberal Shadow Cabinet. is now laughable. It’s “game on” for the continuation of the Coup during this session of Parliament. The Left either retreats and is purged and smashed, or it takes on the Right with determination and equal ruthlessness to the Right. Yep, I’m afraid this battle will result, even if successful for the Left, with a smaller Left Labour PLP in the short-term, and probably a lost next general election (probably long before 2020. But a mass membership of a million or more. But the alternative is a tiny membership ,reinstated neoliberal Labour Party STILL losing the next election on its inevitable neoliberal policy platform – and the Left forced the incredibly hard task of building a radical Left Party from scratch out of the ruins of a demoralised Left. Left Unity tried that. It didn’t go well. Yeah, okay, I’m out of responses to this rhetoric. Besides, you haven’t responded to my main points. P.S. I have no objection “targeted, selective, trigger ballots”. I would like to see some of these but there is nothing you or I can do to further this process. It is up to the members in each CLP. Also targetted and selective doesn’t sound like the mass cull you have been calling for. The idea of re-selection of MPs before each election is clearly both sensible and democratic. I really sticks in my throat that MPs who parrot phrases like “jobs for life are a thing of the past” want to shield themselves against challenge. If an MP is doing a good job and works with his/her CLP then he/she has nothing to fear. The principle is clear. My difference with John Penny and Danny Nicol is not about the principle but about the wisdom of making an issue of mandatory reselection at this juncture. If members want to get rid of their MP then they have a mechanism to do it (the trigger ballot). It is cumbersome and unnecessary but it will do for the moment. Making an issue of mandatory re-selection now is simply stoking the flames of disagreement without necessity. Danny Nicol’s point about boundary changes undermines his own case. Yes, a number of MPs will be up for re-selection anyway. That actually makes the issue of mandatory re-selection even less pressing. We have just seen one attempt at civil war quashed decisively. Some on the loosing side will not accept defeat, we know that. Others will and there have already been signs that some MPs who supported the destructive no confidence vote have now seen how futile that move was. Politics is not just about agreeing a principle and then going for it hammer and tong. It is about timing, priority and effectiveness within an overall strategy. Mandatory reselection should not be at the top of our agenda right now. Instead our major efforts should go towards (1) the as yet unfulfilled promise of democratising the party and (2) into developing robust policies to take Labour in a left direction and which can be the basis for party unity and electoral victory (can we have contributions on that I wonder?). I agree with you on this, but with a caveat. I’m not sure how a lot of MPs would respond to the party becoming more internally democratic. There is every chance that they would be just as hostile to this as they are to mandatory reselection, regardless of what policies the membership ends up pushing. Reslection will become inevitable and why not if your sitting MP does not represent members views and is actively working against the party’s interests and election prospects ,in order to further their own personal agendas.Heidi Alexander was sailing very close to the wind this morning. It’s funny we are all members then some members are selected by members as Parliamentary Candidates to potentially become MPs and members work to get them there for the Party and to fight for working people. But then by metamorphosis or something some of these Labour members seem to change once they become MPs and they no longer seem to treat us as equals, and wanting to solely nominate leaders and soley pick Cabinets/Shadow Cabinets as though ordinary members are perhaps second class citizens when MPs should remember they are just Party members serving the Labour Party as MPs; they are not there to serve themselves. As members we are all equal but some it could be suggested seem to want to be more equal than others and some even arrogantly say they will not serve in a Shadow cabinet under our twice-elected Leader but perhaps we don’t need these ‘great men and women of history’ who actually seem devoid of original ideas for the 21stC. Perhaps we should have a Rules Conference within 6 months to update our rules to take account of the very positive development of getting up to 500,000 plus members under JC. For example perhaps CLPs could have one NEC member per 40,000 members so we should up the CLP NEC members to 12 (or more) elected by members OMOV. I am not interested in more power on the NEC that benefits top downers – only more power for grassroots members. But perhaps the priority now for Momentum supporters is to get to meetings and to take up positions. We could also organise Saturday Conferences around the country in the next 3 months to look at JCs ten policy proposals to constructively add flesh to the bones. In the morning we could go into 10 small workshops each to look at one policy to add to then come back to a morning plenary where each is read and further additions and amendments can be made. In the afternoon we could go into 10 more workshops to look at Labour Rules (see Labour Rules 2016 on Wikipedia) and there are about 71 short pages so could look at 7 pages per group to suggest changes and again report back at a plenary where further changes can be made then we send our results from the day up to Momentum etc. to actually aim to change the rules to benefit grassroots member power. Although one Conference may be ambitious and may need 2 to cover both? Everyone attending could be sent the 10 policy areas and rules before attending and asked to read them before attending and to make a few brief notes on points they wish to make plus to sign up for the policy workshops and rules section workshops. So perhaps now is the time for local Momentum Groups to start being proactive rather than reactive and to start to put grassroots -led, bottom up, left wing socialist organising into practice. I think these are very good and positive suggestions Bazza. I am though leaning towards an NEC entirely elected by the membership with no reserved positions. Of course when voting I am most members would cast votes to ensure that Trades Unions. Women. LGTG were represented. What do other people think? I agree that the whole matter of composition of the NEC and how people are elected to it should now be thoroughly discussed. I also agree that however it is done the final result should be one that guarantees that it reflects the wishes of the members. Having representation for various special interest groups mitigates against that. The problem is that this concession to special as opposed to general interest is a practice now well established in the Labour Party and more broadly in the Labour movement. There is surely something crazy about this and the craziness will be worse with the addition of Scottish and Welsh LP leaders. How many affiliate LP members are there in the TUs? I can find no figures. What justifies the 12 places for TU reps? This sort of allocation of places reduces the party to a federation of interest groups. That may have been the way the party was founded but we should ask how appropriate is it today. There are many more obvious questions to be asked but I take it that this are more or less self-evident just looking at the current NEC composition. This is a topic that merits a lot of careful discussion with a view to proposing a new NEC structure. I think that should result in a majority of the members of the NEC being directly elected by party members. I love all this discussion about semantics and how we are going to give increasingly greater amounts of power and control to grass roots supporters. BUT no-one seems to get it. No-one is going to vote for this when a general election comes. Surely the whole idea of being a political party is to have a realistic chance of being in power so well thought out policies can actually be executed. Otherwise this is just a talking shop. Been there, done that, achieved absolutely nothing! Has there been a single comment on this forum or for that matter from JC about how we are going to engage and persuade the the vast bulk of the electorate (who don’t wear a blue rosette) to vote Labour – these are the ones who are known as swing voters and are intrinsically middle class and not natural Labour/Corbyn supporters. The stables will have to be mucked out now. No more olive branches to the right – they need to be crushed. They are only interested in unity on their own terms. Corbyn needs to be made quite clear about this – if he attempts to compromise with these poisonous backstabbers he will have throw away a golden opportunity to advance the cause of socialism in this country and the hundreds of thousands of people who voted for him will drift away. I’ve heard nothing about what he and McDonnell propose to do about the disgusting anti-democratic manoevring which meant that countless people like me were conned out of a vote. Mr Corbyn, the slate has definitely not been wiped clean. Perhaps we need to clip the wings of those of our MPs who see themselves as an elite. The NEC needs to be grassroots led and we know how many CLP members there are but trade union NEC delegates should be worked out at a equal proportion of affiliated numbers to CLP members. Why not remove voting rights from the ELP/MPs/Welsh & Scottish Leaders/Councillors etc (although their reps could attend but not vote) and we need figures for Socialist Societies etc. and perhaps a NEC rep per 30,000 could be the norm. All the above comments are I belive pointing in the correct direction; with our life experiences and reading etc. we don’t need the ‘great men and women of history’ and our councillors and MPs etc. are there chosen by us to serve the Party (and working class/working people) and not themselves. Yes we need a grassroots democratic revolution!